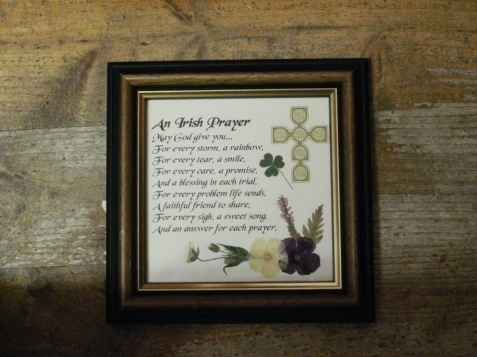 An arrangement of dried and pressed wild Irish flowers and grasses with a reflective, meaningful or humorous verse, saying or blessing in a complementary frame. 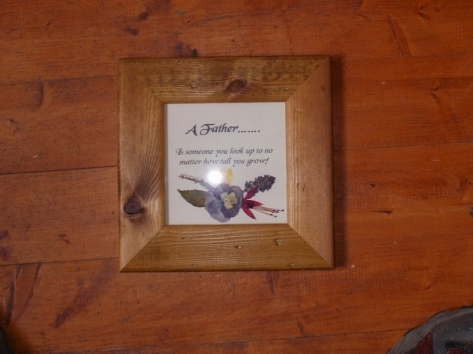 Traditional hand-made framed pictures to suit all occasions, consisting of verses, sayings, poetry & songs surrounded by an arrangement of pressed wild Irish flower and grasses, hand picked in the Wicklow countryside and pressed by traditional method. All pictures can be personalised. If you have your own verse or saying, we can incorporate. We have a range of bookmarks, which also can be personalised and even a photo placed in it! We also have a range of wedding favours, cards, bookmarks, and frames to celebrate your special day. We a free service to dry any bouquet and arrange it in a personalised firescreen or framed pictures as you wish.